It was inevitable that the internet would revolutionise how we share and view music and art, giving a platform to any artist wishing to showcase their work for all to see or hear. Platform giants like Twitter, SoundCloud and YouTube have the potential to drive music from a small fanbase with very little exposure into mainstream culture almost overnight. Everyone benefits, in theory: artists gain a larger audience, consumers gain new and exciting genres and styles, and mainstream success leads to financial reward. In practice, however, music tends to lose its impact, and the mainstream becomes a series of rapidly passing fashions that are largely forgotten when the next big thing is discovered the next week. Art, and even the artists themselves, have been made into commodities to be marketed and sold for maximum payoff, and quick fame is often valued over lasting cultural impact. How many great songs have been killed off by radio overplaying, or by becoming a viral sensation for a fortnight, repeating over and over until listeners are bored, continuing the downward spiral of devaluation? Jme’s ‘Grime MC’ is the perfect reply from an uncompromisingly independent and authentic artist. 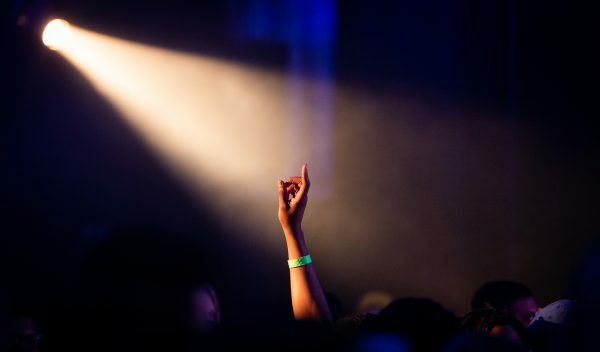 With no full-length release since ‘Integrity>’ in 2015, fans are eager to discover what Jme has been up to for the last four years, and the few lucky enough to get tickets for one of his sold-out cinema screenings were far from disappointed. As a founding member of Boy Better Know, Jme is a veteran of the grime scene, and the music did not disappoint. 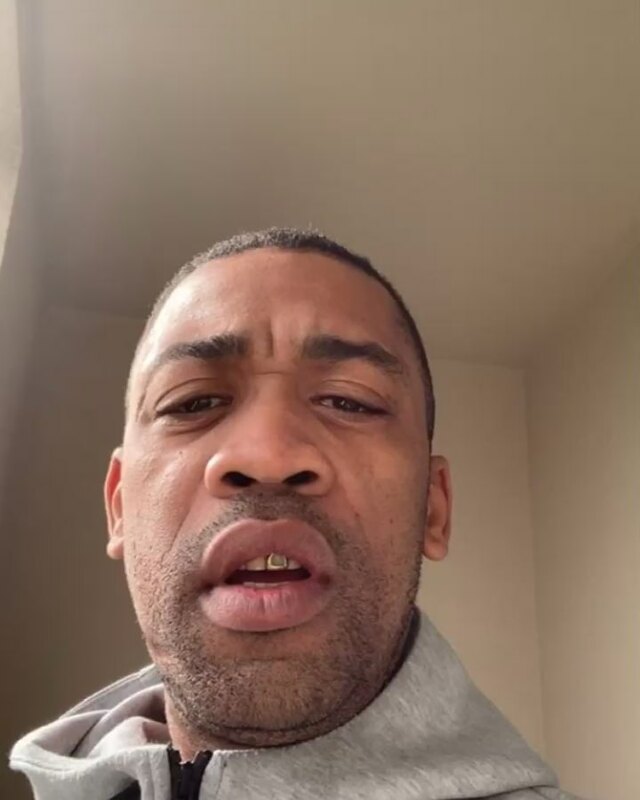 Beginning with a nostalgic music video – a montage of classic grime sets and personal videos and pictures, coupled with lyrics recounting his rise from school and university to pirate radio and widespread success, the project is impressive in its range of styles. The sliding, distorted bass, sharp snares and irregular flow of ‘This One’ contrast with the aggressive, on-beat delivery of ‘Here’, a video carried by an instrumental of layered strings, deep piano cords and soaring drone-shot visuals. 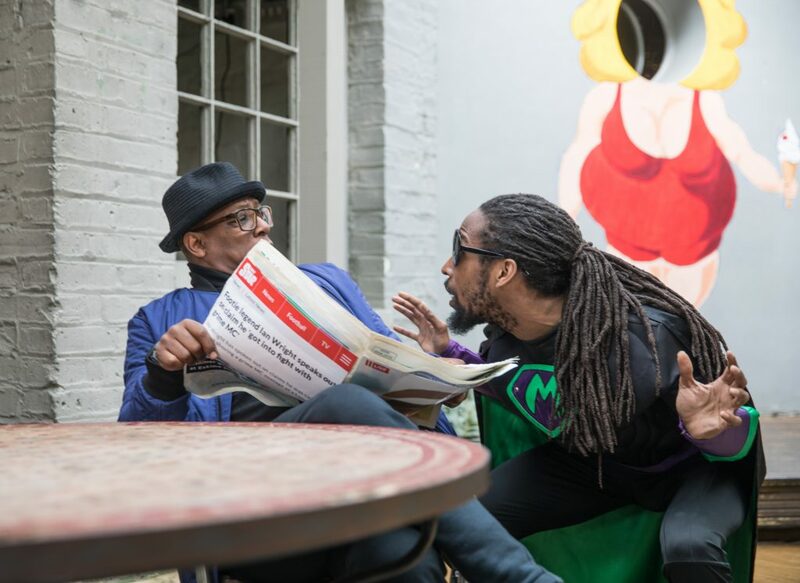 Another track, ‘Live’, is a tongue-and-cheek parody of a news broadcast, with Jme and Merky Ace in Clare Balding-style wigs as newsreaders, cutting between live reports that mirror the fast-paced delivery of both MCs. Finally, ‘Nang’ is a return to classic grime style, with dark, moody visuals and a powerful feature from Jme’s brother Skepta. Jme could have launched a hefty promotional campaign for this new work, and charged a premium for limited tickets; the tickets would still have sold out just as fast. But he did almost the opposite. 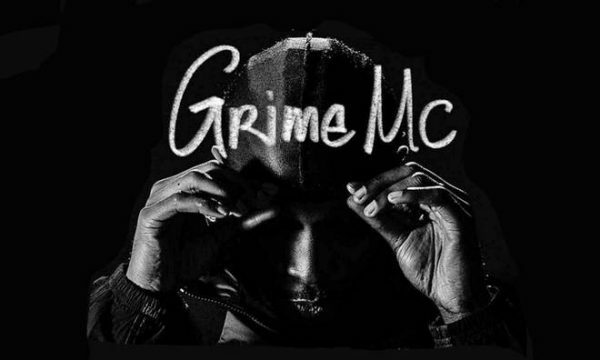 The whole purpose of ‘Grime MC’, according to the man himself, was simply to showcase what he has been creating. Almost nothing was released to the press about what the project would actually be, with the most common view being that the screening was nothing more than a promotion for a new album. Instead, as well as a free preview of unreleased music videos, Jme gave away limited-edition T-shirts, held a lengthy Q&A session, and stayed for pictures and chats with every person that came to see him. It was clear he was sharing his music with his fans purely for the sake of wanting people to hear it. Jme is a firmly-established figure within the UK music scene, and his independent status has enabled him to release music completely on his own terms, without discussions with labels about marketing and promotion, or delays from jumping through hoops to keep industry bosses on side. Why not share the videos from ‘Grime MC’ on his YouTube channel? Because then – sadly but undeniably – the music wouldn’t matter as much. It would be rinsed and discarded by the majority of listeners, leaving existing fans and a small minority of newly converted listeners to look for more of the same. During the Q&A, Jme mentioned Dave’s recent ‘Psychodrama’ album, praising the UK chart-topping LP but arguing that it would not get the recognition it truly deserves, as it would be soon be overlooked in favour of whatever is tipped to be the next big release. No matter how great an album is, over-saturation and overplaying will, in no time at all, turn listeners off. 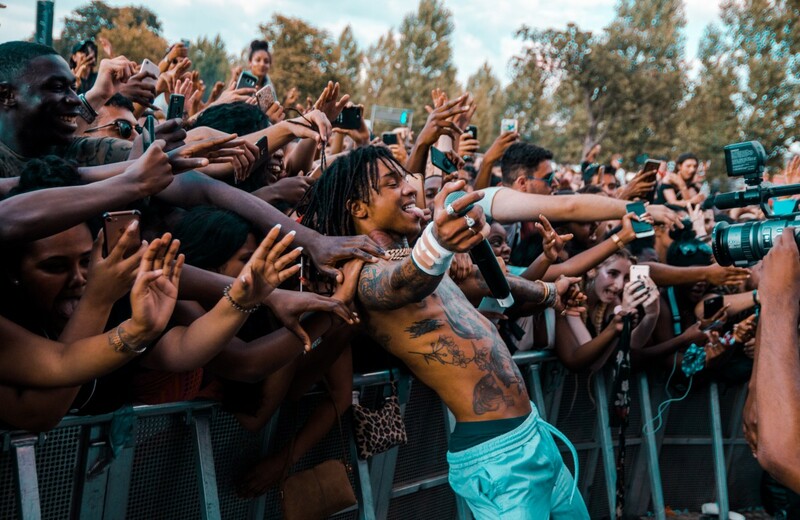 Across the pond, the SoundCloud rapper bubble in the USA is a symptom of a similar problem. Paradigm-shifting artists like Lil Peep, Travis Scott and Denzel Curry have been discovered online, offering a stark contrast to what was available to listeners at the time, forging lasting identities in the popular culture and inspiring other artists to follow the path they laid. Yet, for every Travis Scott, there are hundreds of mediocre, bland, almost indistinguishable rappers that might get heavily shared for a week or two, gaining some small online traction and following, only to be shortly lost in the crowd. Even if they find some longevity, many are marketed almost as parodies of themselves, becoming an entertaining spectacle exploited by companies for the clicking masses to pass momentary judgement on, barely recognised as worthy of serious artistic critique. With a good bit of luck, small scale bedroom projects can be spread far and wide if picked up and recommended by tastemakers on SoundCloud, but getting an audience to take you seriously, appreciate what you have created, and then come back for more, is a far harder challenge. Going completely against the grain, Jme subverted the expectations of an exclusive event by taking the best intentions of small scale, grassroots art and investing his time and energy purely to share his creativity, without no thought for profit or personal gain. Money didn’t come into it in the slightest for the audience; there were no VIP upgrades or meet-and-greet passes. If you were lucky enough to get one of the free tickets, then you could get an experience that, with other artists, can cost a small fortune. Tickets were supplied through the DICE app, meaning the QR code giving entry didn’t appear until two hours before each screening, making selling the free ticket that much more difficult. “We’re not making money off this. It’s not about that,” said Jme after taking a photo with one fan. The partnership with Everyman Cinema only came about through personal relationships rather than a pitched deal to the company. Instrumentals in the project came courtesy of heavyweight producers Blay Vision, Deeco, and S-X – all friends of Jme’s – and the videos’ director, Matt Walker, went to school with Jme. The isolated tracks from ‘Grime MC’ haven’t been sent to anyone else, so are solely in files on Jme’s computer, with Matt Walker having to come round to Jme’s house to listen to the music he’s be creating the visuals for. Its easy to see how integral that small scale authenticity was to the beginnings of grime, and how its importance continues to grow. Jme has stuck to the original role of a grime MC, explaining in the Q&A that “sometimes people call me a rapper. I’m not a rapper, I’m a grime MC. 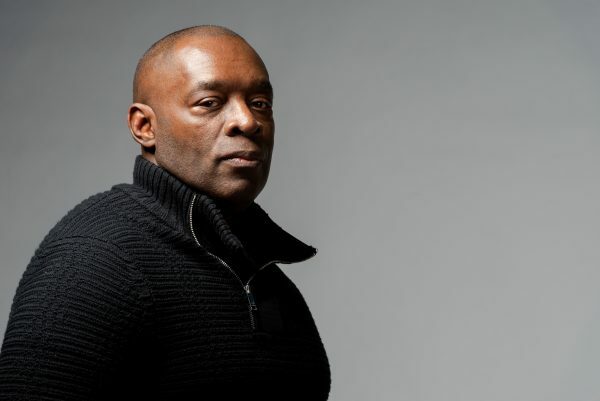 I go to radio sets and spit bars, that’s what I do.” Grime is all about turning up with fresh lyrics that no-one has heard, ready to take a live set by storm, and grafting for a reaction and a reload. Grime was always intended to be experienced in the moment, focused on DJs testing the abilities of MCs with unpredictable mixes that force the artists to adapt and actively perform, rather than just reusing the same formulaic setlist at each performance. Jme captured the essence of this unpredictability and hype and translated it to a cinema viewing; there is still no date set for an album release, and no sign that any of the tracks previewed will be uploaded to YouTube anytime soon, limiting each audience member to a one-time impression. “I want people to care,” Jme said, and it is undeniable that for every person present for ‘Grime MC’, he achieved this. Even the pictures he took with the audience reflected the personal, intimate atmosphere he worked diligently to create, as his polaroid camera supplied individual, physical photos, that weren’t just taken on a phone and destined to be posted on Instagram for likes. 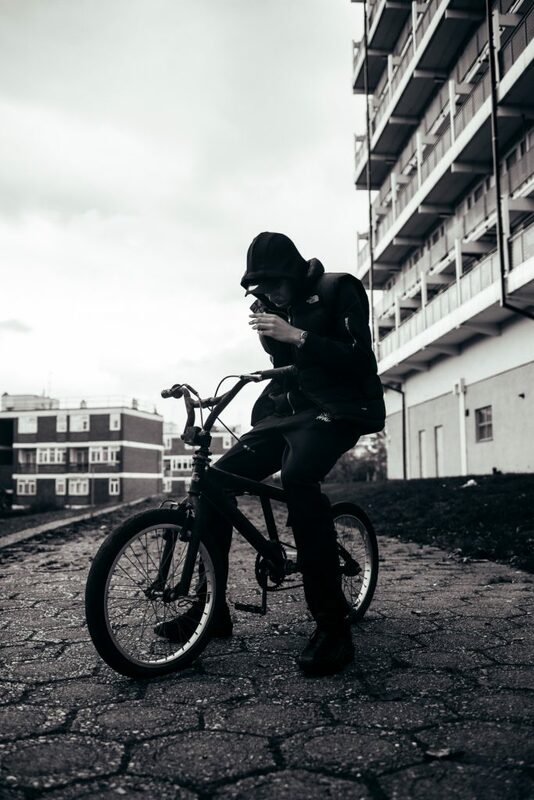 In a culture where it seems like everything is reduced to a passing fashion, ‘Grime MC’ shows how Jme is happy to step back from the constant competition for the mainstream limelight, and to focus on giving his best in the moment to the fans, driven by a true love of the music and a pure desire to share it with those that will take the time to listen, understand, and care.